Rubin Guttman | Cleveland Personal Injury Attorney Rubin Guttman & Associates, L.P.A. Rubin Guttman is the principal in Rubin Guttman & Associates, L.P.A. 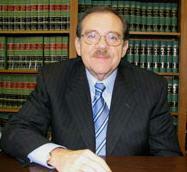 Mr. Guttman has been practicing law in Cleveland, Ohio, for over 32 years. He graduated from Cleveland State University School of Law in 1977, where he was both a member of Law Review and a teaching assistant. Rubin Guttman is a Cleveland, Ohio trial lawyer whose practice focuses on serious personal injury, medical malpractice, traumatic brain injury, nursing home negligence and abuse, and wrongful death. The firm also builds upon its medical and injury litigation expertise by representing the injured and disabled in claims and Social Security Disability (SSI & SSD). Rubin Guttman has also been involved leadership roles in many charitable endeavors, and sits on the Board of seven charitable organizations in the Cleveland area. Mr. Guttman is a frequent public speaker who has appeared on the Merle Pollis and other radio shows. He has also done radio interviews with Gerald Posner and other authors and political personalities. Mr. Guttman has regularly appeared on WKYC TV-3, discussing Ohio nursing home neglect, medical malpractice and personal injury law from the consumer's point of view. Mr. Guttman has authored numerous articles and has been the subject of several articles in the Cleveland Plain Dealer. He appeared as a speaker on Ohio medical malpractice before a seminar sponsored by the National Business Institute and has been featured at a seminar focusing on nursing home neglect litigation. In 1999, Mr. Guttman was nominated to be a lifetime member in the "Who's Who In America." Since 2000, Mr. Guttman has been a member of the "Million Dollar Advocates Forum," an exclusive group of attorneys who have obtained jury verdicts in excess of One Million Dollars. We're very proud that Rubin Guttman has been nominated an Ohio Super Lawyer each year since 2007 by a poll of Ohio lawyers and Law and Politics, recognizing him as among the top 5% of Ohio lawyers in his field. Mr. Guttman is a member of the Ohio State Bar Association, American Association for Justice, Ohio Academy of Trial Lawyers and the National Organization of Social Security Claimants Representatives (NOSSCR). He is married and resides with his wife, Eileen, and three children in Beachwood, Ohio.